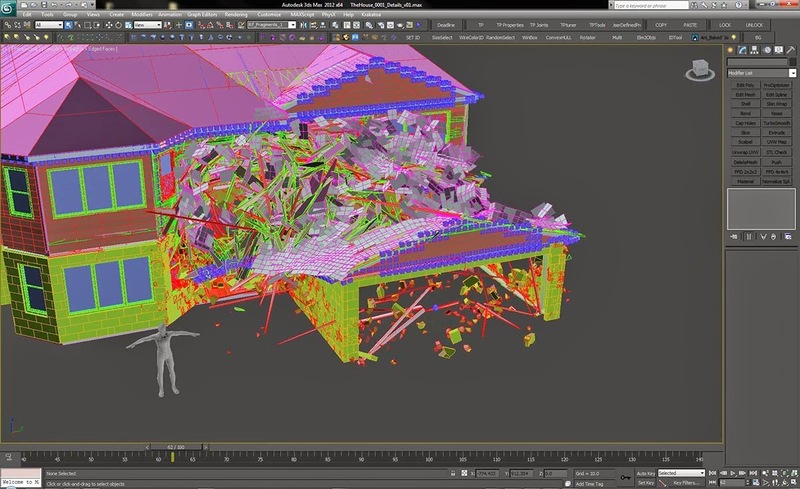 [ #Training #vfx #3dsmax ]TheHouseFX has announced New training package for destruction with Thinking Particles inside 3ds Max. It was designed to show what it's like for an FX Artist inside a CG Pipeline. With a directory structure based off working industry pipelines, you'll learn how to manage and organize your project so you're ready for a studio pipeline. -Over 10 hours of in-Depth tutorials that cover destruction with Thinking Particles for beginners to advanced levels. -Multi-Layered house model built specifically for destruction. Materials, Texures, and ID's already to go. Hi-Res & Low Res options included also. -Multi-Layered section of the house model included.